Tamworth’s MP, Christopher Pincher, has welcomed the news published by the Start Up Loans Company (SULCo) that over £240,000 has been loaned to 40 individuals in Tamworth. SULCo, founded in 2012, was set up to support individuals who want to start a business but cannot access traditional sources of finance. The scheme is funded by the Government and British Business Bank which to date has helped create over 40,000 businesses and lent over £250m, some of which has been received in Tamworth. To date it is estimated that for every £1 invested in businesses, over £3 has been returned to the economy. The scheme also has a target to deliver 10,000 loans per year so that by 2020, 75,000 loans will have been delivered. Mr Pincher said, “I warmly welcome the news that SULCo has invested so much in so many individuals looking to set up businesses in Tamworth. 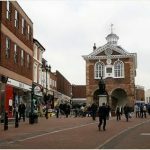 It’s reassuring news, which shows confidence in the economic climate remains high, and further that businesses and entrepreneurs in Tamworth are as active as ever. Christopher Pincher, MP for Tamworth, has backed calls by leading UK meningitis charity, Meningitis Now, encouraging young people to protect themselves from a deadly strain of bacterial meningitis. Following a worrying increase of 809% in meningococcal (group W) meningitis cases in the past 5 years, the government launched a vaccination programme to protect young people aged 14-15 through schools, and those aged 17 to 18 through their GP. Despite the introduction of this vaccine, and the increased risk to students and young people, the uptake of the Men ACWY remains very low, with 17.7% of 17 and 18 year olds within the West Midlands taking up the vaccine, and 17.4% across England. Young people and particularly first year university students are at an increased risk from meningococcal bacteria, which can cause meningitis and septicaemia. Early signs can go undetected, and in young people can be put down to a bout of the flu, or even a hangover. 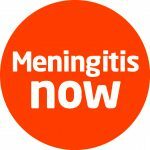 Liz Brown, Chief Executive at Meningitis Now, said, “We welcome Christopher Pincher’s support in calling on young people across the UK to get the Men ACWY vaccine. 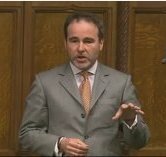 It is particularly poignant given the sad news of a student death at the University of Northumbria from Men W.
Christopher Pincher, MP for Tamworth, has drawn attention to the Constituency Road Safety Dashboard developed by the Parliamentary Advisory Council for Transport Safety (PACTS) alongside Direct Line. The PACTS Road Safety Dashboard was developed to compare and analyse road casualty data in order to consider the progress already made, and how it can be improved. It allows analysis of local areas to be run against national scores. 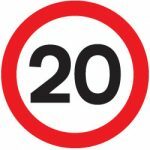 The United Kingdom has a good road safety record but there is still more to do to reduce casualties nationwide. Mr Pincher said, “It is reassuring to see that Tamworth’s KSI (Killed or Seriously Injured) index is 30% lower than the national average, and that the work being done across the constituency to improve road safety is taking root. To explore local results yourself using the Dashboard, visit www.pacts.org.uk/dashboard. Tamworth’s MP, Christopher Pincher, wants to make sure local people are kept safe from fire and to inform of the new services provided by Staffordshire Fire’s new Community Advice Team. In order to ensure your home is safe from the dangers of fire, you should make sure you have a smoke alarm installed on each floor. The Community Advice Team has been set up to provide tailored advice on how to protect your home or business from fire. You can also book a risk assessment, which can include the fitting of equipment or smoke alarms. Smoke alarms are an important way to ensure extra time for escape in the event of a fire by providing early warnings. Each death involving a fire is thoroughly investigated and costs the Fire & Rescue Service and other blue lamp services approximately £1million. So investing in fire prevention and awareness is not just the right thing to do, it is the cost effective thing for everyone to do. 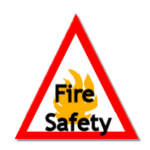 Mr Pincher said, “I urge anyone with concerns about potential fire risks to contact the Community Advice Team now. The services they offer can allow local people to fireproof their homes and businesses, as well as locate any potential risks that may have been overlooked. Anyone interested in contacting the Community Advice Team can call 0800 0241 999 between 8am and 6pm from Monday to Friday. As the nation marks the centenary of the Battle of the Somme, Tamworth’s MP has called on local residents to apply for Heritage Lottery Fund money to explore their local stories of the First World War. Following the success of the Heritage Lottery Fund’s community grants programme ‘First World War: then and now’, an additional £4 million has been made available for communities looking to explore, conserve and share their local heritage from this period. Grants are available between £3000 and £10,000. There are already 1,520 First World War projects taking place across the United Kingdom, with communities discovering interesting and inspirational stories of how events such as the Somme campaign impacted their local area. Mr Pincher said, “It is remarkable to see such a range of projects emerging across the country, with such a variety of inspirational tales from the First World War. It is important that we remember the impact this war had on our nation, and it would be fantastic to see Tamworth’s heritage remembered as part of this campaign. “There is still time to apply for National Lottery investment and I would urge anyone in Tamworth with an idea for a project to get in touch. ”My own great grandfather, William Pincher, was killed on the first day of the Somme fighting in the South Staffordshire Regiment. He came from Darlaston but he never went home. His body was never found and his name is commemorated on the Thiepval memorial to all those killed on the Somme but with no known grave. 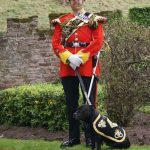 Christopher Pincher, MP for Tamworth, is calling on local residents to support Staffordshire Regimental Mascot, Sgt Watchman V, in the Westminster Dog of the Year competition. The 2016 competition will take place on September 8th in Parliament and will see the canine friends of MPs and peers battle it out to be named Westminster Dog of the Year – a very competitive, and political, event. Sgt Watchman V has been nominated by Staffordshire MPs Amanda Milling, Jeremy Lefroy, Andrew Griffiths, Gavin Williamson, Bill Cash and Michael Fabricant, together with Mr Pincher. The MPs are keen to see our local regimental mascot crowned Parliament’s top dog. Mr Pincher said, “Watchman is a great Staffordshire icon and is the first military mascot to make it to the short list of the Westminster dog of the year competition. I call on everyone in Staffordshire and especially Tamworth to vote for him in the competition and help him get the recognition he deserves. The mascot tradition of the regiments of Staffordshire (which includes Staffordshire and the Black Country) stretches back to the 19th Century. In 1882 The South Staffordshire Regiment was ordered to march with Lord Wolseley to the relief of General Gordon who was besieged in Khartoum. They entrained at Cairo with their Staffordshire bull terrier, “Boxer”. Unfortunately Boxer leapt from the moving train and was seen lying unconscious or dead at the side of the track. A few days later when the Regiment encamped at Assiut awaiting orders for the final phase of their march, a very thin and bedraggled dog staggered into their camp and collapsed. Boxer had walked for over 200 miles along the scorching desert railway track to rejoin his regiment. From then on the tradition of having a Bull Terrier as a mascot continued with the battalions until after the Second World War. Since then the mascots have all been called Watchman, with one taking over from previous mascot. Click here to vote for Sgt Watchman V in the competition. Great Britain’s new Prime Minister, Theresa May, has appointed the former Foreign Secretary Philip Hammond as Chancellor of the Exchequer. Having been in Parliament since 1997, Mr Hammond is one of the Conservatives’ most experienced politicians and it is said that he has long wanted the role of chancellor. Before becoming a politician, Mr Hammond had a career in business – in the medical equipment industry. 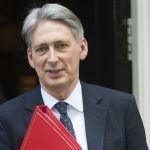 Mr Hammond studied philosophy, politics and economics at Oxford University and is seen as a “fiscal hawk”, which means he believes in prudent public finances. 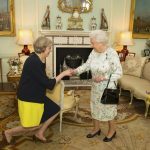 Theresa May mp has been appointed the United Kingdom’s second female Prime Minister in a private audience with the Queen at which she was invited to form a Government. Mrs May kissed hands with the Queen in a simple procedure at Buckingham Palace which made her the 13th holder of the post of Prime Minister and First Lord of the Treasury during Elizabeth II’s reign. Mrs May arrived at Buckingham Palace by ministerial car with husband Philip, having set off from the House of Commons only after receiving the signal that predecessor David Cameron’s resignation as Prime Minister had been accepted by the Queen and that he had advised the head of state to appoint the former Home Secretary in his place. Theresa May joins Margaret as the second female Leader of the Conservative Party to become the UK’s Prime Minister, a feet not matched by any other UK political party. 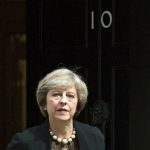 Mrs May is also the 9th Conservative Party Leader to hold the post of Prime Minister during Elizabeth II’s reign. I would like to pay tribute to the other candidates during the election campaign, and I would like to pay tribute to Andrea Leadsom for the dignity that she has shown today. During this campaign, my case has been based on three things. First, the need for strong, proven leadership to steer us through what will be difficult and uncertain economic and political times. The need of course to negotiate the best deal for Britain in leaving the EU and to forge a new role for ourselves in the world. Second, we need to unite our country. And third, we need a strong, new, and positive vision for the future of our country. A vision of a country that works not for the privileged few but works for every one of us. Because we’re going to give people more control over their lives. That’s how together we will build a better Britain. Tamworth’s MP, Christopher Pincher, has welcomed the progress, which has been made in implementing the Government’s pledge for fairer funding for schools across the country. The Government is currently at the consultation stage of the process to redesigning the funding formula. There are two stages to the consultation and the Government has completed the first stage of the consultation, with the second stage of consultation about to commence. Mr Pincher said, “I am pleased to say that the Government has completed the first of two stages of consultation in the process of introducing fairer funding for schools. This first stage has discussed the basic foundations and the method of implementing the fairer funding formula. “This means that we are one step closer to seeing fairer funding for Staffordshire and Tamworth. If we get it right, that will be of huge benefit to Tamworth. I will keep local schools up to date so they know what to expect and what we can all do to encourage a better set of school funding rules.